This a new site and we've just got our shopping cart up and running so I hope there aren't any glitches in it. 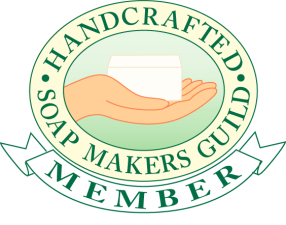 If you should experience any trouble in ordering, please contact Michelle at info@mysticwatersoap.com or call (240) 396-6831 and we will do our best to resolve the problem. In general, domestic orders are sent by USPS priority mail with delivery confirmation, for a flat fee of $7 shipping and handling - with free shipping on domestic orders of $75 or more. International orders are sent for the cost of actual postage. See below for important details. The exception to the $7 flat rate is over on my website www.mystic4men.com, on the "Samples" page, where I offer First Class shipping for $4.00 to the U.S. on orders of a single shaving soap or up to two sets (3 samples per set) of shaving soap. That is available here. We do not add insurance unless the customer requests it, but it is recommended for larger purchases. During checkout, you can request insurance for a small additional charge based on the value of the package by using the "Add special instructions to the seller" option. Please safeguard your package if you have had problems with receiving mail! We cannot be held responsible for packages that the Post Office says have been delivered. International customers: please note that our shopping cart cannot calculate the shipping cost for international orders. When you place your order in the shopping cart, you will be charged only for items you have purchased. After I prepare your package in the most economical way possible that provides secure shipping, I will send a separate PayPal invoice via email for the amount of actual shipping. I will send your order as soon as you provide that payment. If at any point you have questions about your order, please contact me directly at info@mysticwatersoap.com. As far as any applicable customs fees, these are of course the responsibility of the customer, and Mystic Water Soap is not responsible for packages held up in customs. When I run out of a product, I remove the ordering button from the website while the new batch is being prepared. I do my best to keep products in stock and the website up-to-date but sometimes I run out of something unexpectedly. That's why it's important that the email address listed on your order is correct. I will try to contact you, to let you know the situation and offer a refund for that item, or see if you have an alternate choice. If I cannot reach you within two days, I will refund the cost of the out-of-stock item and send the rest of the order. I do not back order merchandise. We are a Maryland-based company and so Maryland residents will be charged 6% sales tax on their orders. Please note that, in accordance with Maryland law, we must charge sales tax on shipping and handling charges as well. During the market season from April through December, you can find us at farmers markets here in the Maryland suburbs of Washington, D.C., and at a number of festivals and holiday markets in the MD-VA-DC area. You can see our calendar of events here. Some of my products are available at Smile Herb Shop in College Park, MD. They do not carry my shaving products.